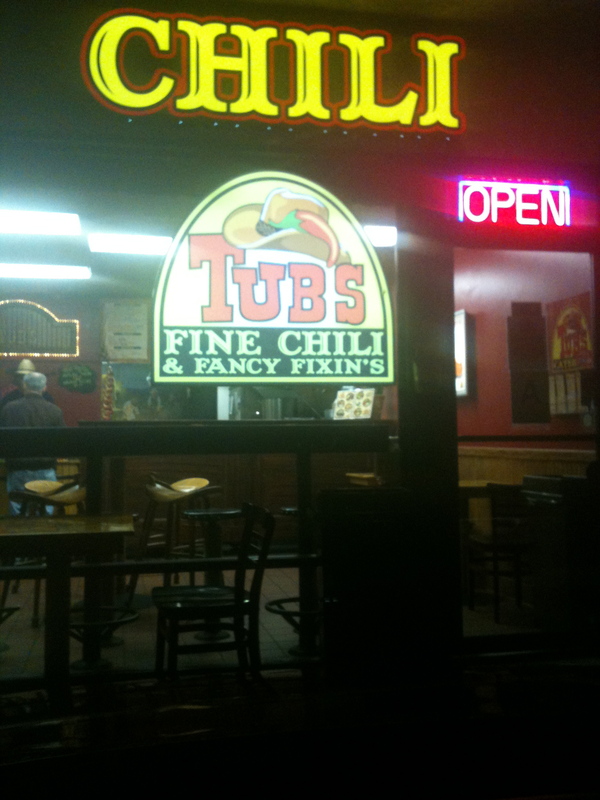 Tub’s Chili y’all. Or pardner. Or whatever cowboys say in Culver City. UPDATE: I received an email from the owners of Tub’s letting me know that they have changed bread suppliers and that the Toasted Bread Tub I ate is no longer vegan because it contains dairy. They said however that the corkscrew pasta contains no egg so you can still get your chili over pasta or brown rice. One of the great things about being vegan for the past 17 months is that it’s been a whole new source of procrastination. 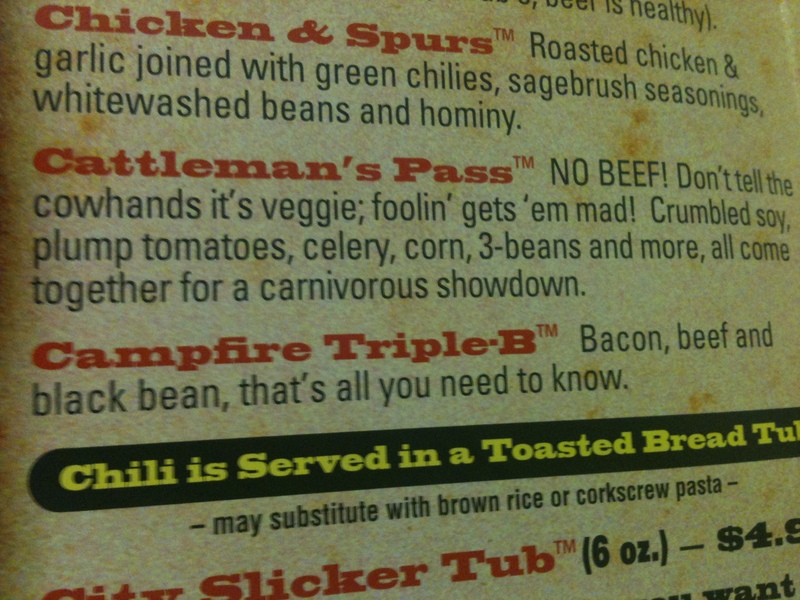 And one day as I was making my way through the vegosphere I came across a website called veggie101.com that had a review for a place I’d been to in my meat-eating days (daze), and they said that one of their choices was vegan. Who knew?! The way it works is that a 6 ounce portion of chili costs $4.99 and then you can add as many additional ounces as you want for 60 cents an ounce. 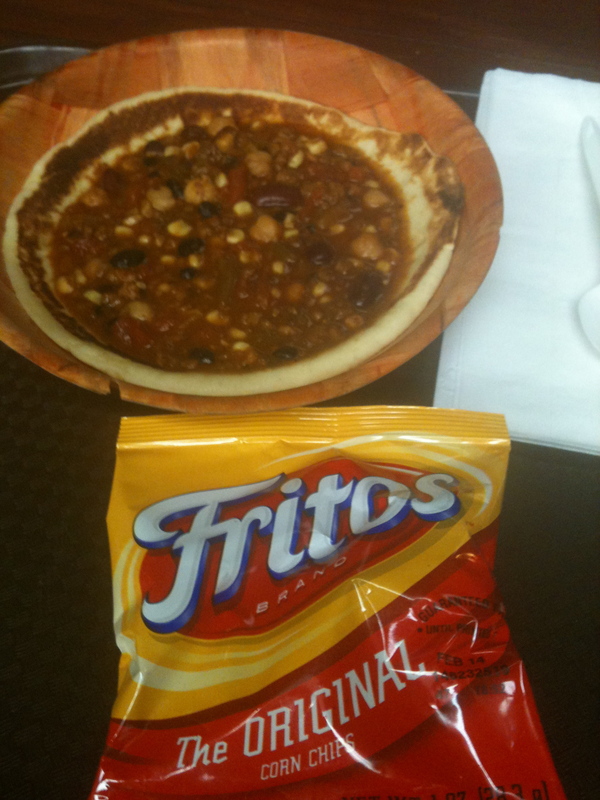 I wasn’t all that hungry at the time so what you see in the photo is 6 ounces over the Toasted Bread Tub aka pita. And it was good. Very good even. Certainly worth the reasonable price they were charging for it.